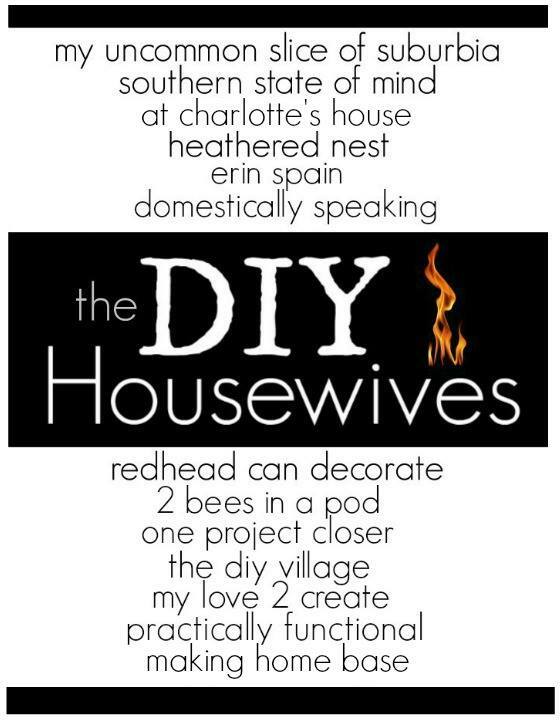 It is the first Wednesday of the month and that means you are going to get some awesome inspiration from the DIY Housewives! 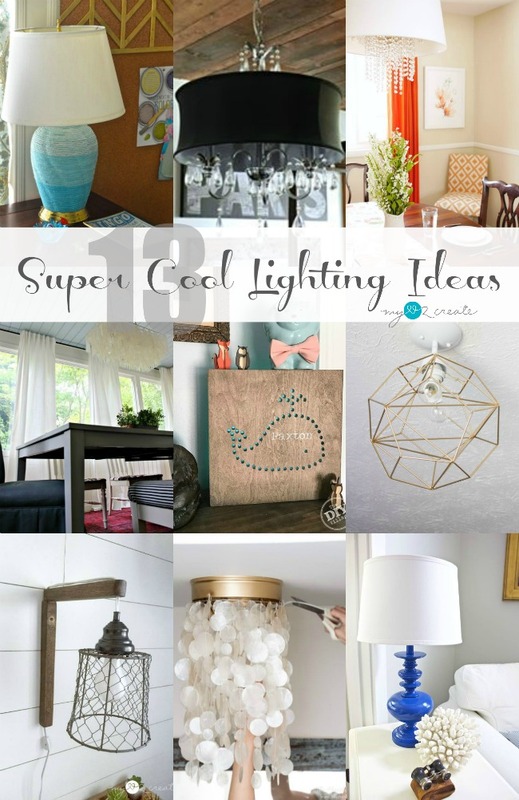 This month we are sharing 13 Super Cool Lighting Ideas! I love how lighting can really make a huge statement in any space. 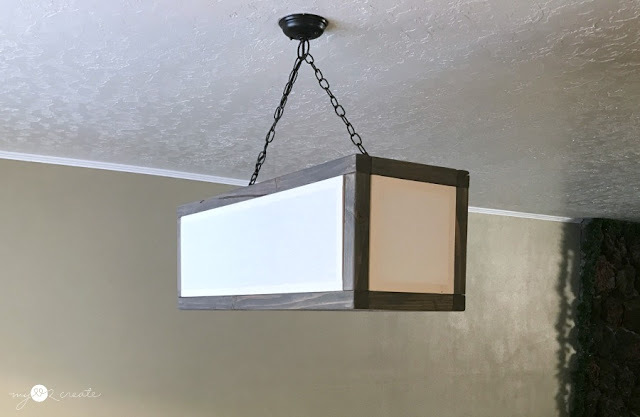 Whether it is a simple update to an existing fixture, a diy lighting project or simply adding a lighting element...it is definitely something you want to consider for your home. That is why I am thrilled to share these great projects with you! 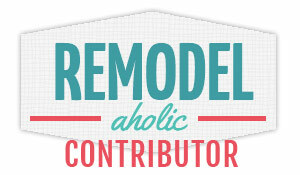 Again this month we have added a guest host, please welcome Chelsea from Making Home Base!! 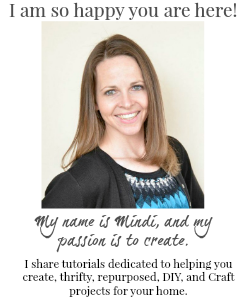 We are so happy she is participating! The lighting project I choose to share is one from my Master Bedroom which I finally shared the reveal last week! If you haven't seen it yet you will want to check it out here! 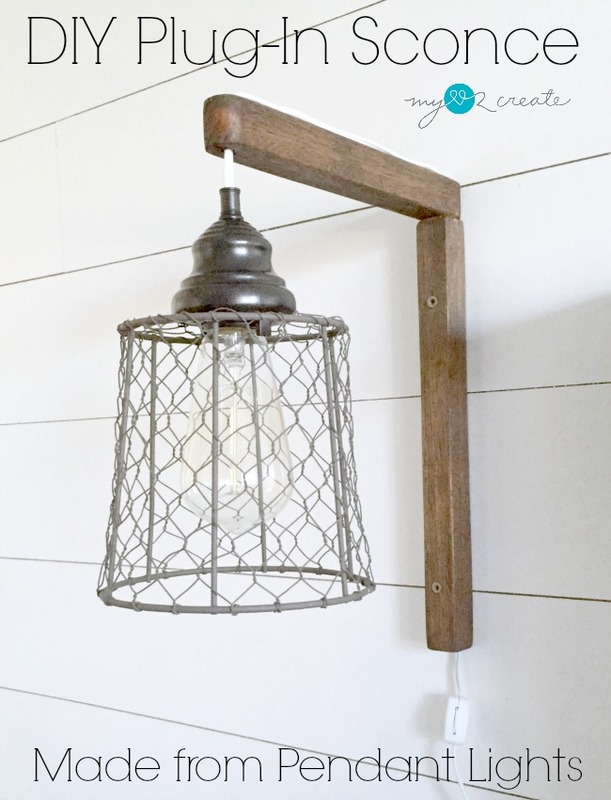 I am sharing my DIY Plug-in Sconces!! I seriously love them, and trust me lighting projects can seem intimidating, but they are really pretty easy, you just have to try it! And since we are on the subject of lighting I must share my latest lighting project! I made this Rectangle Chandelier for my sister over Christmas, and it looks so much better in person, and yes, those are fabric lined inlays! Love. I hope you enjoy all these super cool lighting projects! I know there are several I want to try right away!